IN A show that's set to razzle dazzle, there is no way you'll be forgetting theses Lilydale students' names. 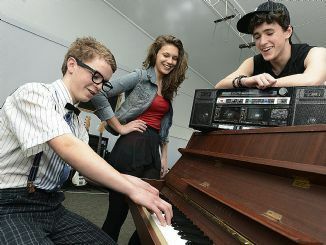 Lilydale High School students are starring in the school's production of Fame: The Musical this month. The show follows a group of talented pupils who attend the prestigious 'Fame' school in New York during the early '80s. Show producer Jacki Goode said over 60 students were in the cast, from all year levels. They have been rehearsing twice a week since April, during the school holidays, and every weekend since June. Ms Goode said staff and students had been helping out with set construction, painting, props, costume, hair and make-up, publicity, ticketing and program design. The show opens Thursday, August 23, at 7pm in the school hall, with evening performances also on Friday and Saturday.